Once you break through the fruity, Madagascan 71 dark chocolate exterior you will be greeted with a surge of molten caramel mixed with fine flecks of welsh sea salt. All of the Willie’s Cacao range is crafted in Devon, England using traditional machinery. 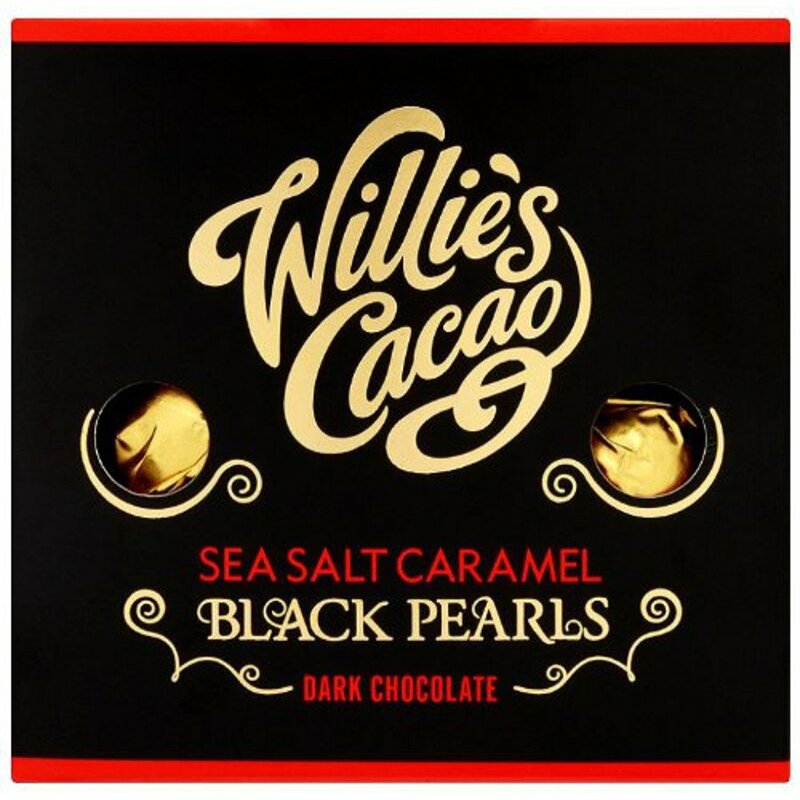 The Willies Cacao Black Pearls - Sea Salt Caramel Dark Chocolates - 150g product ethics are indicated below. To learn more about these product ethics and to see related products, follow the links below. I bought these as a gift and they were described as gorgeous and didn't last very long. I don't usually eat dark chocolate but I did enjoy two of these!